and i like they way they're not here for very long. you'll have to wait until next year. she'd be up early in the morning picking them for me. tell me she had a gift for me. and i would place them on the trunk at the foot of my bed. My hydrangeas are just starting to break out in little nubs. They line the walkway to the front door and, well, I just love them. Can't wait to see them again! once again, you made me smile. that is a lovely memory. I love my hydrangeas ... but no buds yet. Lovely words and memory. Oh, I love this; it brought tears to my eyes. Enjoy all the beauty for as long as it is. that's my very favorite flower. how can it not be?? You enchant me. Again, I see something completely new. 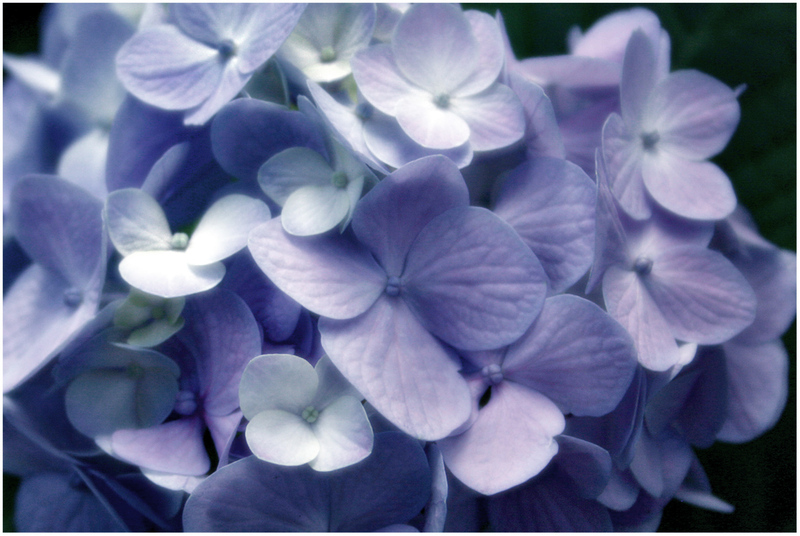 hydrangeas are my very favorite. i brought in my first arrangement this past weekend. i've never tried the cold water trick.